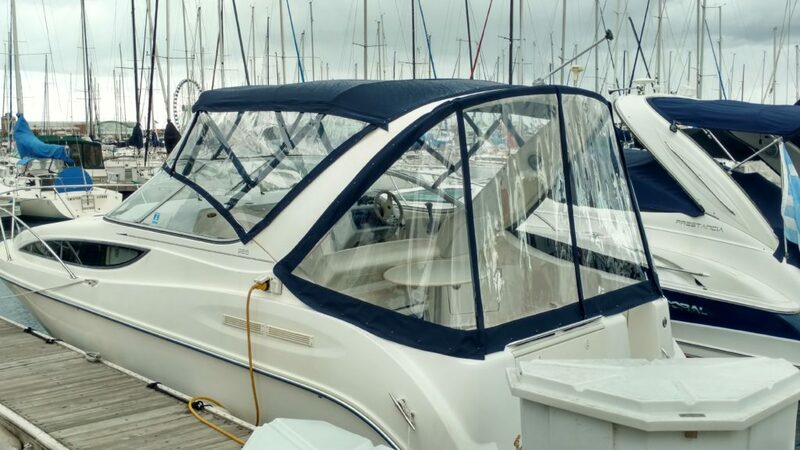 Canvas enclosures are designed to be able to utilize the cockpit area of a boat or yacht in inclement weather. It typically consists of multiple forward window panels of eisenglass (or is it isenglass?) 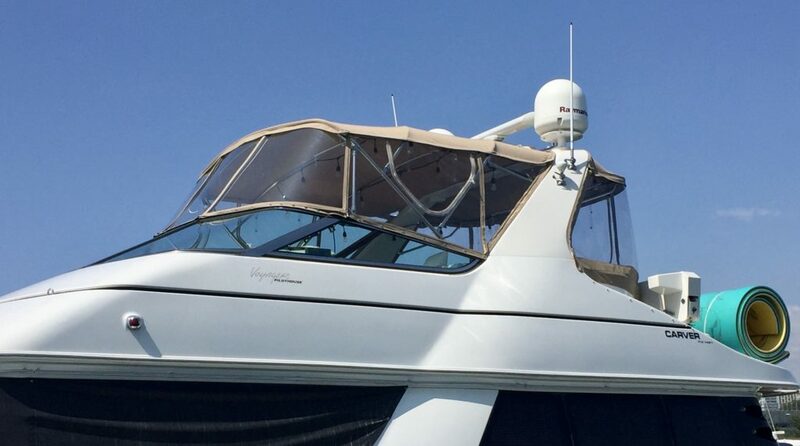 and aft panels that are a mix of canvas and eisenglass. 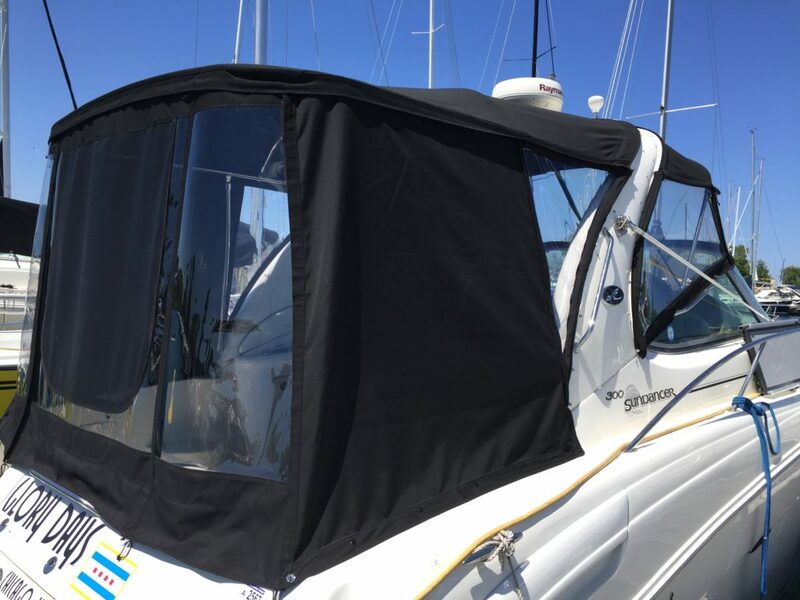 These can be attached to a hardtop which is becoming more common on newer models or a bimini top made of canvas. Below are some pictures of some of our projects over the past few years. 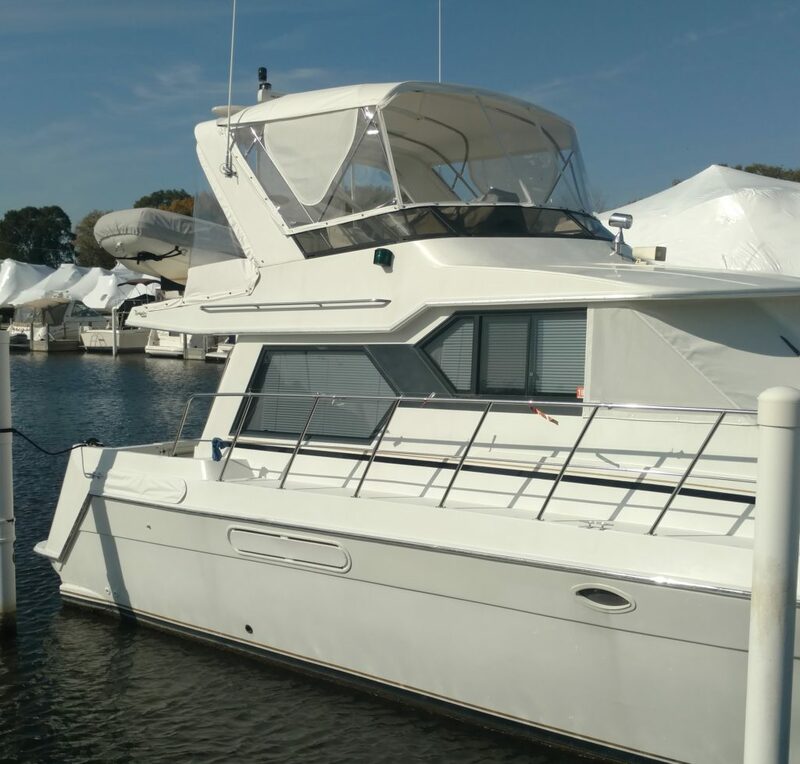 Sea Ray Sundancer Enclosure Aft – this was a new aft frame that extended out ~8′ from the arch vs the original that was the factory 3′ short frame commonly seen. 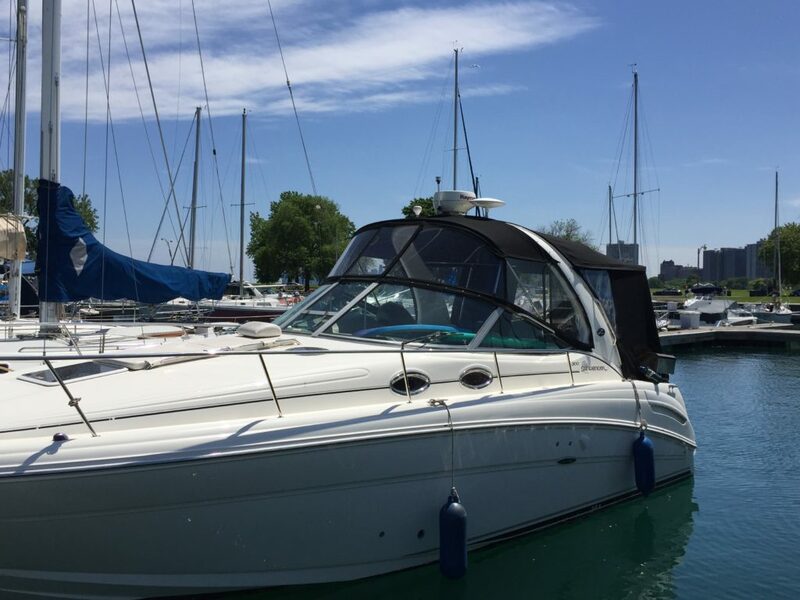 Sea Ray Sundancer 500 Aft Enclosure – We extended the aft frame back to allow for better usage of the aft seating area vs the factory short aft bimini which extended ~3′.